In order to appreciate the complexities faced in using and understanding the common expression risk/benefit (RIB) relationship, it is important to stress that the term is flawed from a méthodologie perspective. Benefit is usually derived from surrogate measurements of efficacy, is assessed prospectively, and involves discrete, often narrow endpoints. On the other hand, risk (the chance of harm) is a multidimensional concept usually investigated and measured retrospectively. Furthermore, although we usually think of the R/B relationship in terms of applicability to and perception by a patient, many other constituencies involved in the development and use of medicines (e.g., physicians, companies, regulators) have different perceptions of both benefit and risk for themselves and on behalf of patients. 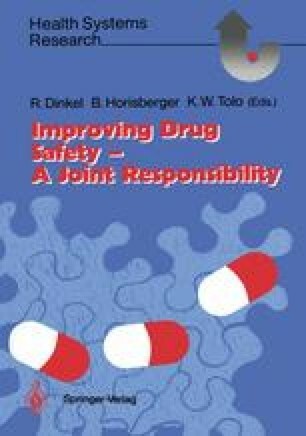 Also, considering that there is considerable misuse or inappropriate use of drugs by both physicians and patients, the true R/B relationship, however measured, becomes distorted; in other words, many risks, minor as well as serious, may be avoidable .